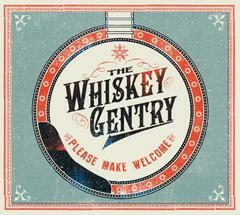 Paste Magazine was dead-on when they called The Whiskey Gentry a “toe-tapping, steamrolling kind of band, its fingers picking deep into fields of bluegrass, feet stomping in line with a punk-inspired kick drum.” Formed in 2009 by husband and wife duo Lauren Staley and Jason Morrow, The Whiskey Gentry is a group of seasoned veterans—to put things mildly, some of the finest pickers and musicians the Southeast has to offer. A recent finalist in the Chris Austin Songwriting Competition held at MerleFest, Staley's natural gifts with words and her powerful lead vocal abilities complement the band’s edgy interpretation of an otherwise traditional sound. All of this, coupled with a commanding and high-energy live performance, sets the bar for the way today’s country music ought to sound—honest, tight, daring, and void of pretension.